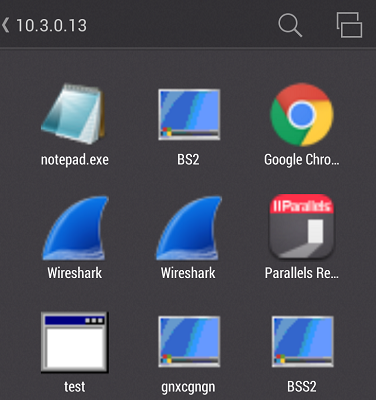 Parallels Client App Launcher is a screen in Parallels Client showing available Published Applications. How I can close Published Application? While in an application, tap 'Cross' button from the menu on the left. Published Application would be closed. 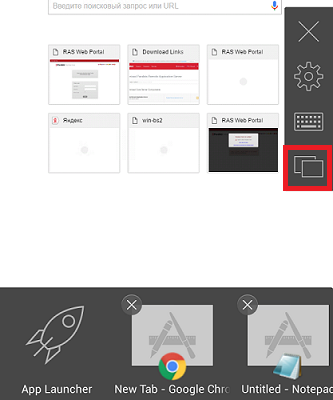 While in an application, tap on the 'App Navigator' from the menu on the left, then you will see all the open applications at the bottom of the screen. Select the application you would like to switch to by tapping it's icon. How I can create a shortcut for Published Application? 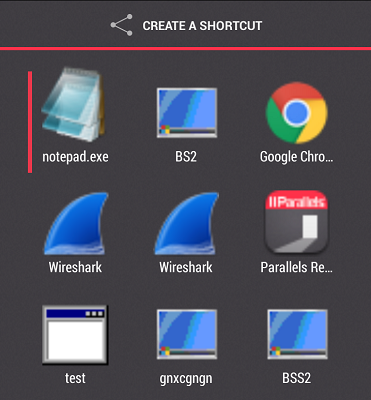 On a 'App Launcher' Screen > Tap and hold on Published Application > Create shortcut.